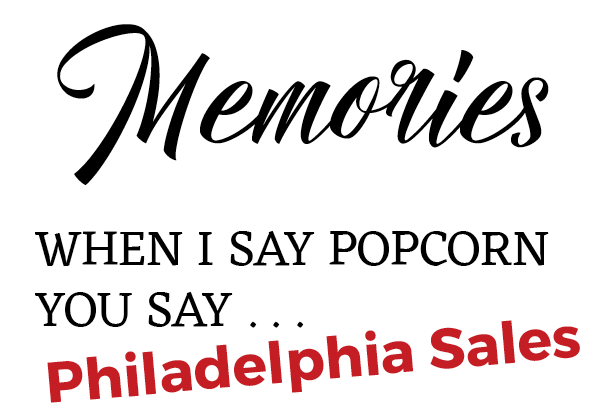 How can anyone forget the smell of Philly’s popcorn. Popped and bagged on the bottom floor of the Clinton St retail, the sweet buttery fragrance permeated every inch of the store like a welcoming embrace as you entered through their doors. I sat down with Alan Jablon and Fran Stein from Philadelphia Sales. They told a story that showed them not as people who sold merchandise from a brick and mortar building but rather as two families who loved this area so much that they opened their arms out and called all of us family. Here is their story. Philadelphia Sales started in 1933 by Alan’s Uncle and Francine’s father-in-law. It was the Depression. Times were hard and businesses failed. But this was the time that Jablon and Stein successfully made their mark in Binghamton. They secured the 1100 sf building on Clinton Street and named it Philadelphia Sales because they were from Philly. With the building secured Stein and Jablon travelled all over the East buying out stores that were closing and bringing that merchandise to Binghamton where they could sell it at a fraction of the cost of other stores. Sales were so good that the line to get into the store extended at times for blocks. Philadelphia Sales became the first discount store in NYS and a store that most probably influenced the later established discount chains such as Walmart to offer every day low prices. Their low priced products included jewelry, hunting equipment, school supplies and clothing. But regardless of the low prices make no mistake about the quality. The quality was every bit as good or better than some of the high priced fashion stores of the time. So good in fact that Francine Stein proudly says all of her daughter’s clothes came from Phillys. I can remember that it was the owners connection with the community that also kept people coming back. “The most rewarding part of owning this business was the feeling the community had about us – they were supportive and needed us and that was a great feeling. ” said Alan. He added that most of his employees were from the 1st ward and he found them all to be good, hard working people. Francine added “that nothing was ever outsourced and that they chose employees from the local area to be promoted up to management positions”. It was the owners commitment to this community that helped them expand from the 1100 sf store to 3 stores with 250,000 sf. And no matter how much they expanded they kept true to their charitable work in our community. In fact one of their lesser known charitable acts was keeping the store open for the seniors and others long beyond the point they could afford to do so. You see, the seniors from the area asked them to stay open because they couldn’t walk to other areas to get the merchandise they needed nor could they afford some of the prices. So the Jablons and Steins made the decision to use their own personal funds to keep the store open as long as they could. Month after month they went to their banks and withdrew the money they had saved for their retirement or their children’s college so they could keep the doors open to help others. Finally on December 31, 1998 they had to shut the doors forever. The doors may be shut but the memories will never be forgotten. Friends who have walked past the Boys and Girls Club, the site of the original Philadelphia Sales, say if you try hard enough you can still see the store and the smiles on the faces of the sales staff that would greet you. It is said you might even be able to smell the popcorn. And for those of you who are curious about the popcorn, the machine can be found in a candle store in the outskirts of Binghamton. I want to thank Alan Jablon and Francine Stein for allowing us to remember their store and them. They are what the Greater Binghamton area is – a neighborhood of close-knit people who embody the essence of character and giving.